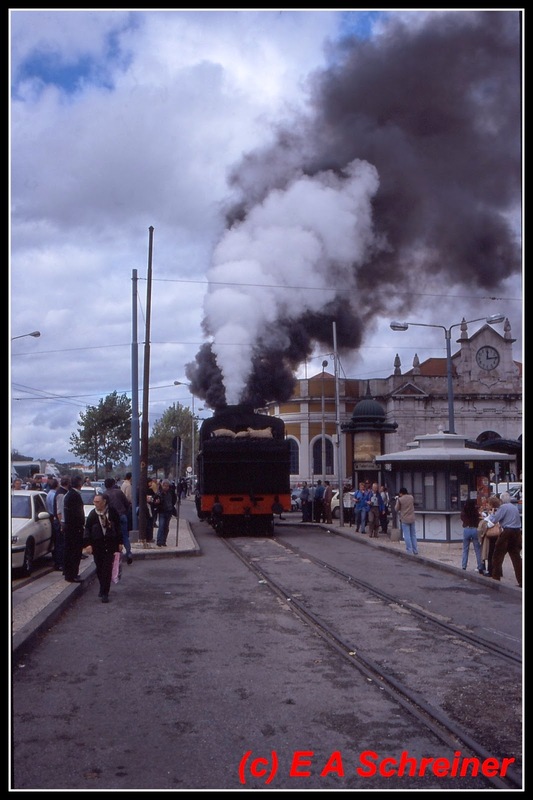 Em Outubro de 2002 a locomotiva a vapor 0186 traccionou o comboio histórico, entre Coimbra e Serpins. As imagens que se seguem documentam esta peculiar viagem, que muito provavelmente não se voltará a repetir. 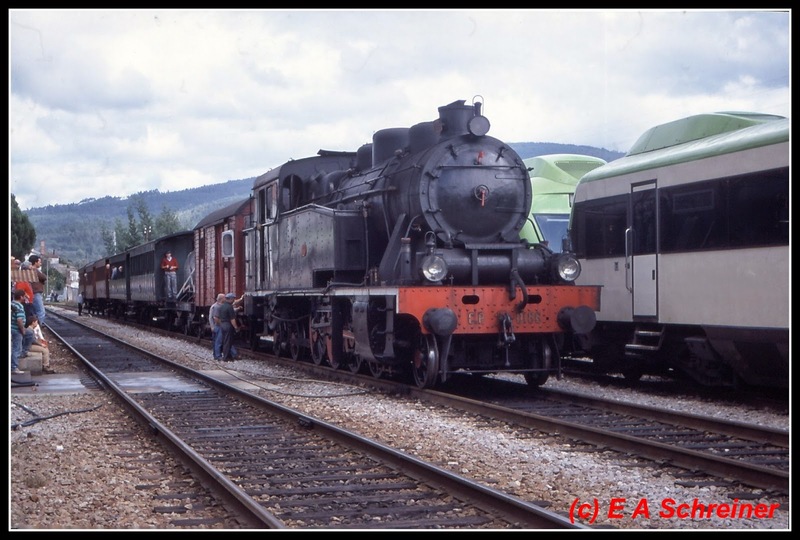 comentário do autor: "A Allan railcar shunts with the CP 0186 and the historic train in Coimbra B. Coimbra, the 25th of October 2002"
comentário do autor: "The CP 0186 with the historic train in the station of Coimbra. 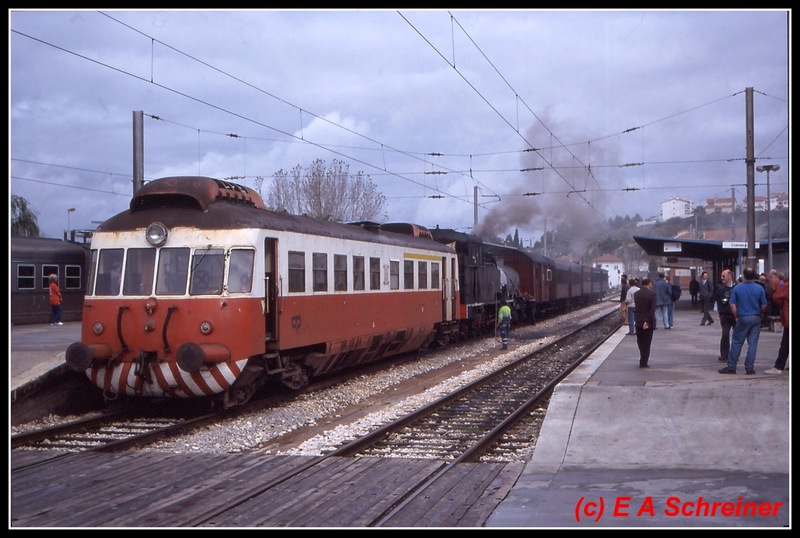 Coimbra, the 25th of October 2002"
comentário do autor: "The CP 0186 leaves de station of Coimbra on it's way to Serpins. 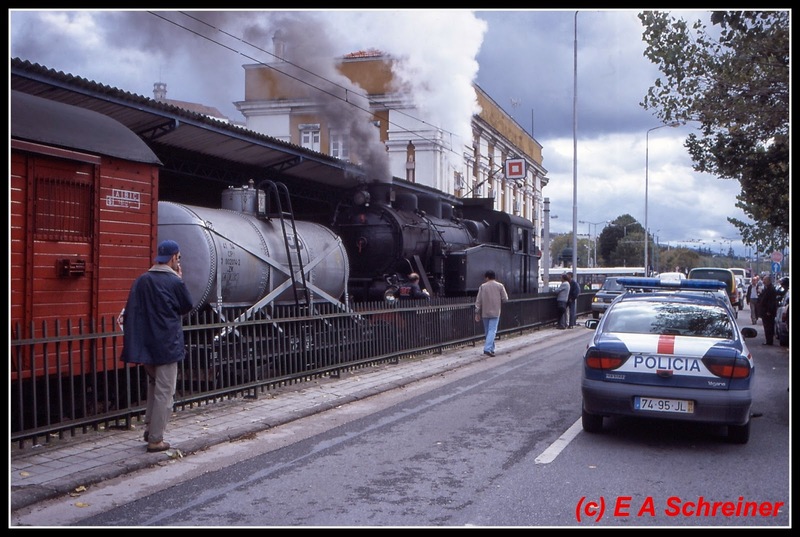 Coimbra, the 25th of October 2002"
comentário do autor: "The CP 0186 with the historic train in the streets (Av. Emídio Navarro) of Coimbra on it's way to Serpins. 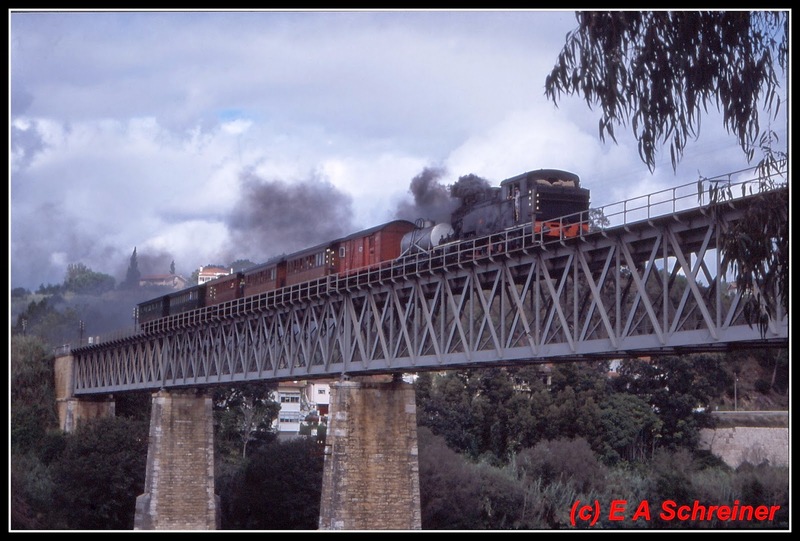 Coimbra, the 25th of October 2002"
comentário do autor: "The CP 0186 passes with the historic train the Portela bridge over the Modego river. 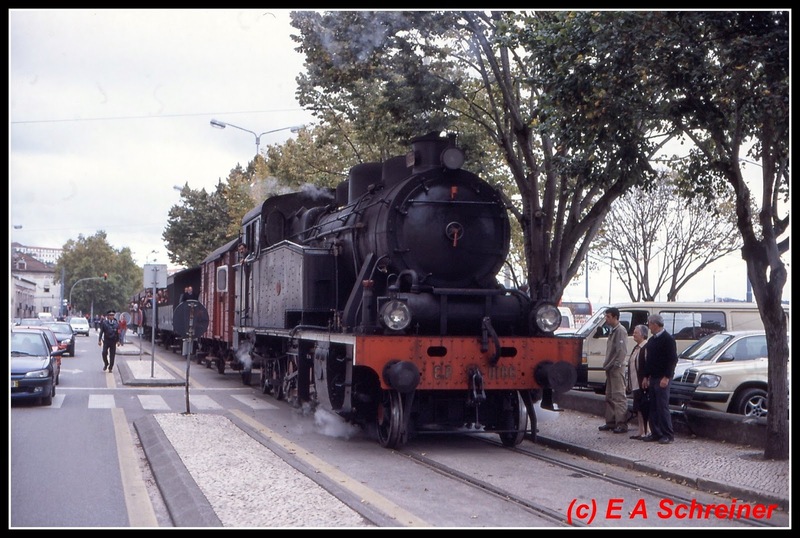 Coimbra, the 25th of October 2002"
comentário do autor: "The CP 0186 with the historic train in the station of Miranda do Corvo. 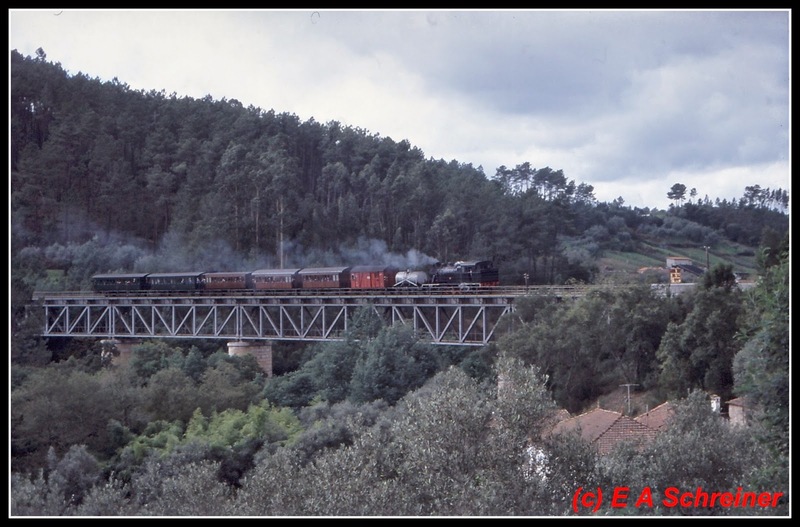 Miranda do Corvo, the 25th of October 2002"
comentário do autor: "The CP 0186 passes with the historic train the Seprins bridge over the Ceira river. 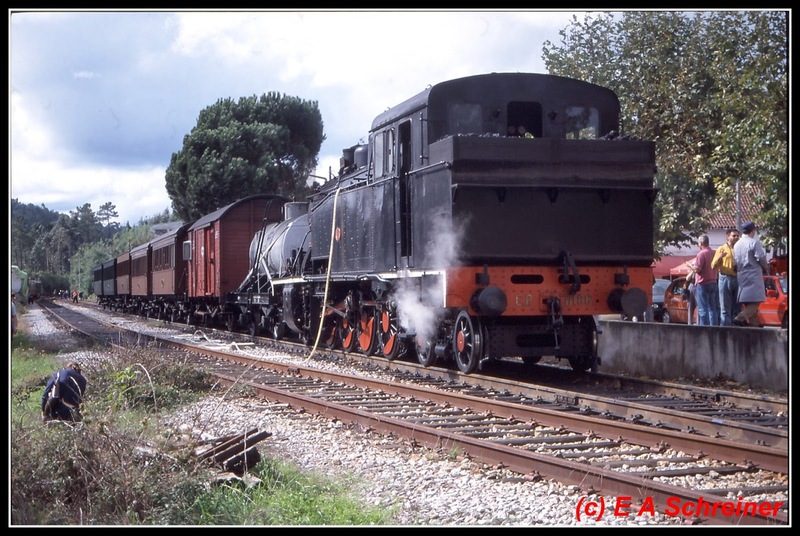 Serpins, the 25th of October 2002"
comentário do autor: "The CP 0186 takes water in the station of Serpins. 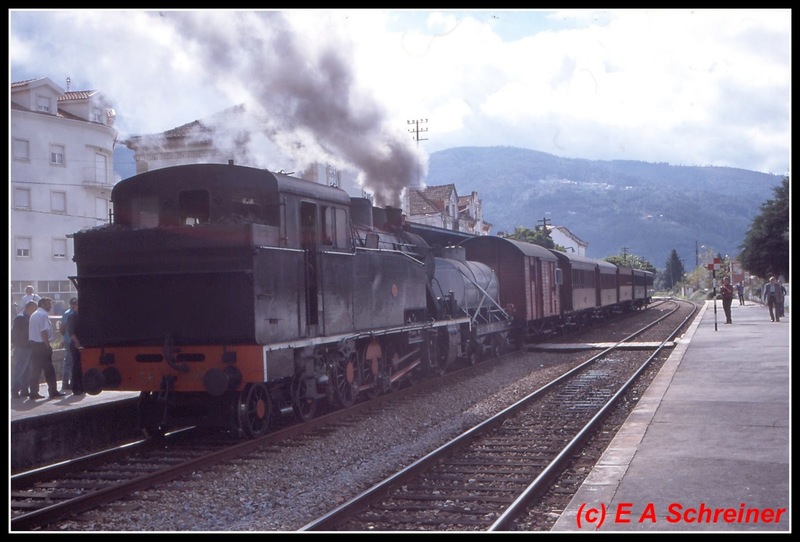 Serpins, the 25th of October 2002"
comentário do autor: "The CP 0186 is with the historic train ready to depart in Serpins. 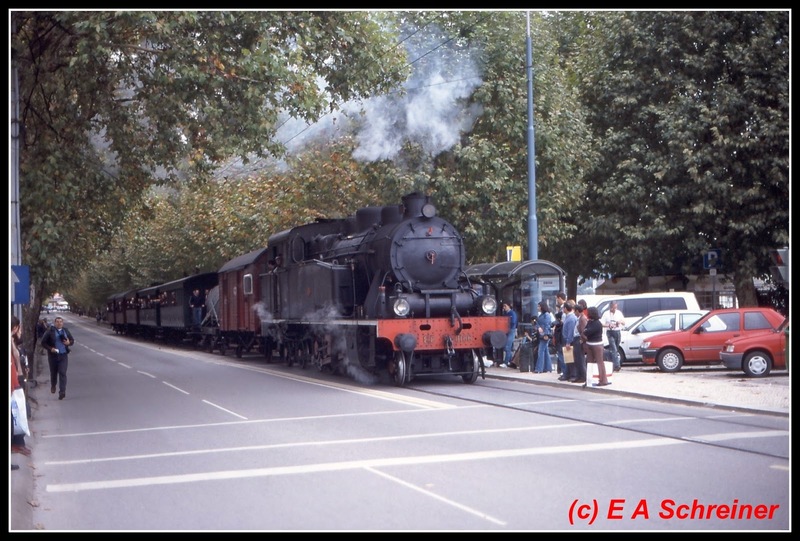 Serpins, the 25th of October 2002"
comentário do autor: "The CP 0186 with the historic train in the streets (Av. Emídio Navarro) of Coïmbra on it's way to the station of Coïmbra. 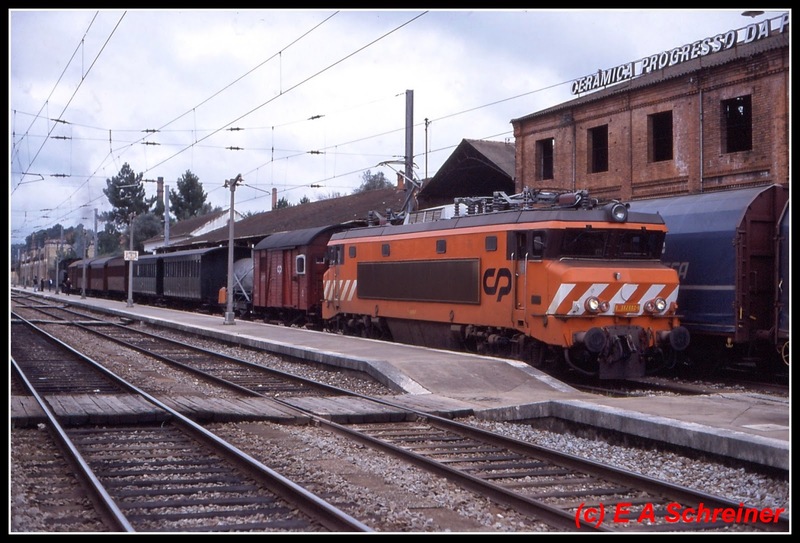 Coïmbra, the 25th of October 2002"
comentário do autor: "The CP 0186 with the historic train near the station of Coïmbra. 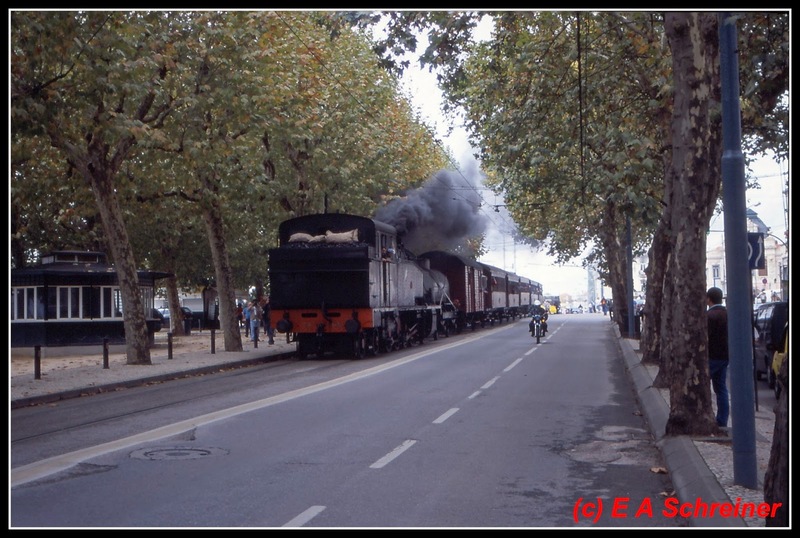 Coïmbra, the 25th of October 2002"
comentário do autor: "With the transportation of the historic train to Porto a week full of steam on portugues tracks is ending. The CP 2602 with the historic train in Pampilhosa. Pampilhosa, the 26th of October 2002"